Do you just love pumpkin spice? We do, too! So, we made sure to make some treats that capture that quintessential autumn flavor that you can make all year long. 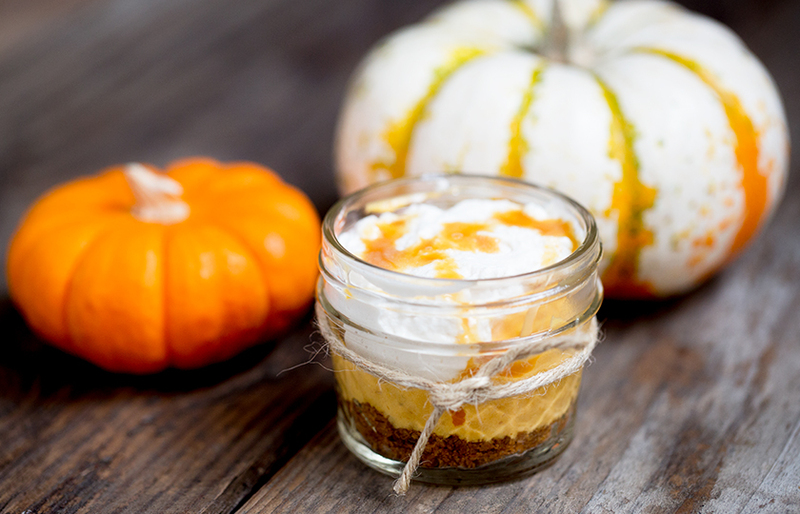 Every pumpkin lover needs to try our Mini Pumpkin Cream Pies with Speculoos Cookie Crust. Put them into little mason jars and they make great gifts during Thanksgiving! The best part is there are only 3 steps to create this delicious dessert! Watch our video to see how it's done! 1 tsp Amoretti® Amoretti® Vanilla Madagascar Bourbon 2X W.S. Combine melted butter and cookie crumbs. Divide mixture among twelve 4 oz jars (about 2 tablespoons per jar), pressing down firmly to form the crust. Top pumpkin cream with whipped cream, and drizzle with Amoretti® Salted Crema di Caramel syrup.